And creaminess that will keep you coming back…Until the cows come home! Insanely GoodComeback cow is now our official favorite in our house! It's really creamy with a soft buttery flavor with no overwhelming, taste-bud destroying overtones. The most wonderful surprise was that the rind wasn't bitter (which it often is brie type cheeses) so we could eat the whole thing...and believe me, we did! This was a holiday treat for us but we will be buying it as a regular all year round now. It’s creamy with a kick. Mild yet complex. 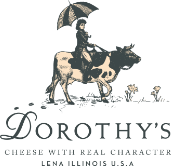 This rich and creamy cheese has a smooth, flower-shaped body and soft white mold exterior. A velvety milk taste is underlined by sweet and buttery flavors of mushrooms or truffles and almonds. Wild grasses and flowers flavored the milk, packing pungent flavor that keeps coming back—bite after bite. 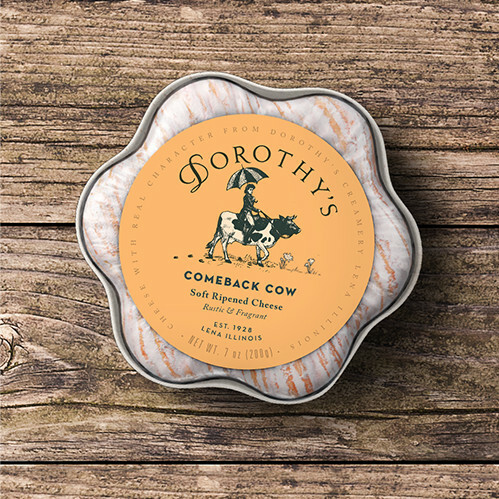 Comeback Cow is a tasteful, artisanal cheese best savored as part of your favorite cheese board, although it does lend itself to sandwiches and quiches if you’re after an oozy melt. Pair it with croissants, soft rolls, melons or grapes. It’s always ready for a party, enjoyed with a Bourgogne, Cabernet, or Médoc wine. Silky in texture and nutty, its whipped-cream.